Tokarev TT33 black leather holster. Polish military production, unissued condition. These are very nice holsters and a great fit for any TT33 pistol. Product Review: just ordered my second right now. glad they are available again. 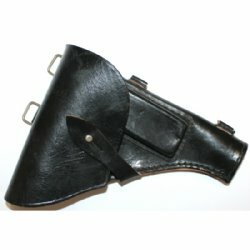 great old world leather construction. mine was stiff but when I used saddle soap it softened like newly made leather. thanks for the find rtg. 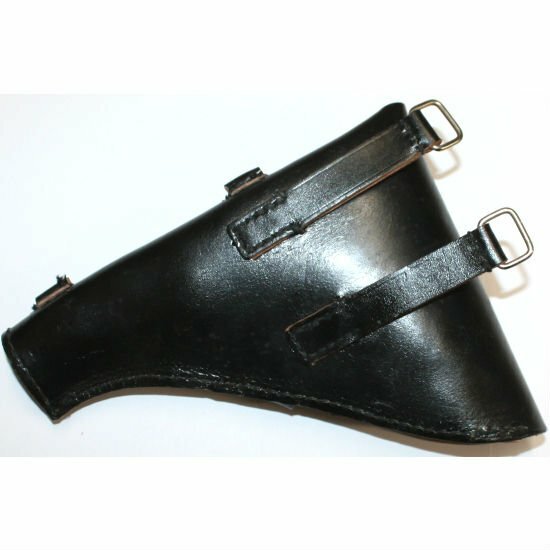 Product Review: Correct holster for the collection. Definitely unissued. The inside was ink stamped also. Product Review: These things are covered with a weird white schmutz, apparently something growing due to years of poor storage. The schmutz can be removed with lots of scrubbing and alcohol, if one wants to bother.